They are exactly like they sound. Deep. Underground. 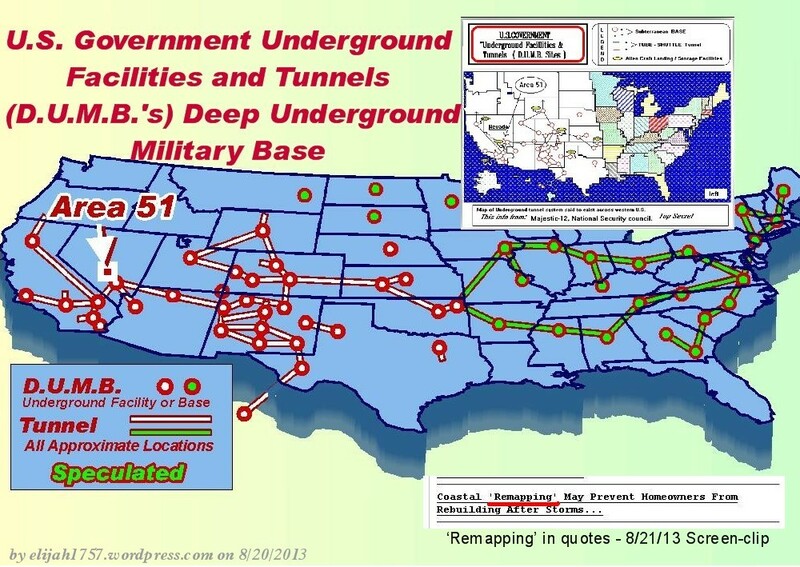 Military Bases. And yes, they DO exist. There dozens of them in the United States, and hundreds around the world. Hard to believe? Think like the military. They want to be as covert as possible, and with today’s satellite imagery, it make no sense to be above ground. When you add in the additional security strengths a DUMB provides, it would make sense for the military to create them. 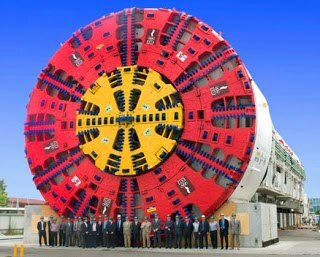 And the coolest part….all of these DUMB’s are connected underground via high speed railways. How fast you ask?? Well, back in the 1970’s Rand Corporation(same company) presented a Very High Speed Transit System(VHST). The late (and presumably murdered) government Geologist, Phil Schneider, spoke about what he called an ‘Electro Magneto Leviton Train System’ that traveled at speeds in excess of Mach 2.The VHST and its proposed routes, (vast advanced tunnel systems) at the time of it’s conception in the early 1970′s, fit and follow other underground base researchers findings. 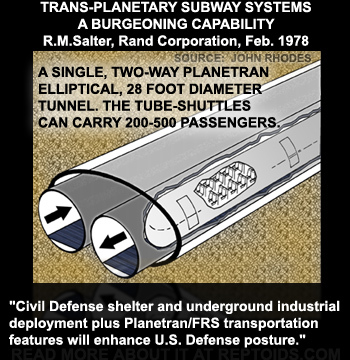 An interesting aspect within the Rand Corp. document is the fact that the tunnels are way to expansive to pump all of the air out at once to create the frictionless environment needed travel at speeds in excess of 10,000+ MPH.The air has to be evacuated from the tunnel system in segments with large crucially timed mechanized door systems as the train passes through each vapor locked section. See the copy of the LA Times Article here.